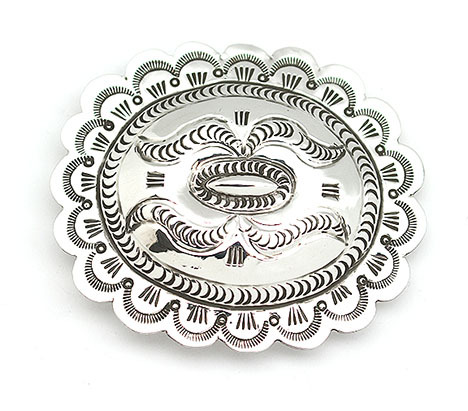 This sterling silver stamped buckle has a scalloped border. This buckle measures 2 1/2" long and 3" wide and has a 1 1/2" buckle back. Native handmade by Navajo Artist Carson Blackgoat. Stamping will vary.